Selraybob is an unexpected protagonist whose journey is satisfying and thoughtful. 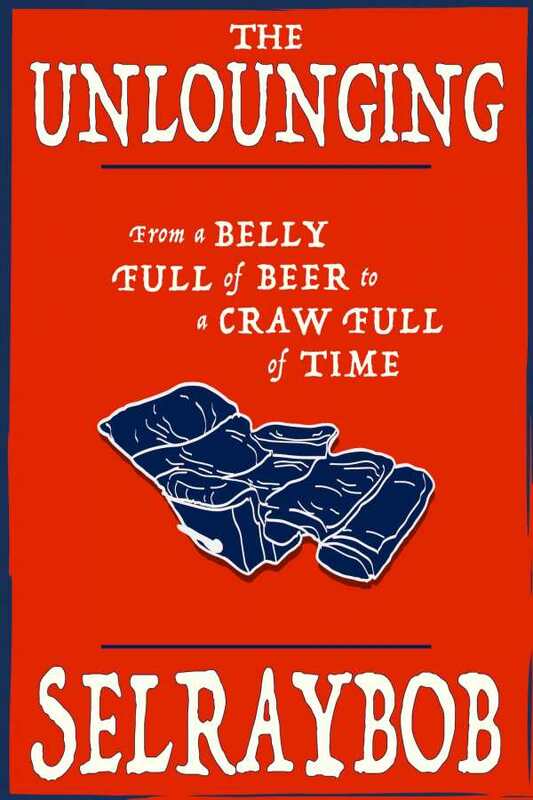 A humorous and engaging fictional memoir, The Unlounging relates an existential crisis. When the book begins, Selraybob is sitting in his lounger, drinking beer, and expecting his wife, Joalene, to wait on him hand and foot. He is uneducated, unemployed, and unmotivated to change his life. He begins to contemplate the concept of time, and then his wife leaves. From there, Selraybob’s philosophical pondering increases. He explores time by reading and by interviewing others. His intellectual pursuits get him out of his chair and accomplishing what Joalene expected of him: losing weight, getting a job, cleaning up, and doing things for himself. The plot is consumed with Selraybob’s character development, tracking him as he transforms from a slob to a functional member of society. The pace of this development is slow and realistic, and the changes he manages are interspersed with doubt and anxiety. It’s a relatable tale. Selraybob is an unexpected protagonist whose journey is satisfying and thoughtful. Although Joalene is absent for a good portion of the novel, when she returns there are developments to her character as well. The smaller plot of Selraybob and Joalene’s marriage is intriguing and tactfully handled. The cathartic, emotional conclusion is satisfying and true to real life. Dialogue is difficult at times due to Selraybob’s initial ignorance. Conversations between characters sometimes feel like they are going nowhere. There are big ideas in the book, but they are channeled through characters who lack the ability to earnestly engage in discourse. Ruminations on time—what makes time, what time is, and various other concepts—are all well thought-out and easy to understand. Selraybob is an everyman; anyone can follow along with even his most outlandish thoughts. Secondary characters, like Herm and Susie, appear consistently but are not as well fleshed out. The pair serve as vehicles to move the plot forward when Selraybob becomes hesitant to act on his desires. They are fun characters and their encouragement of Selraybob is refreshing, but they exist without depth. Some secondary plotlines don’t get resolved, including one involving a network of time conspirators, a hinted-at government cover-up, and a character who mentions wanting to stop everyone’s time except her own. These randomly introduced (and just as randomly dropped) plot points raise plenty of questions that are left unanswered. Full of amusing quips that balance the ponderous tone, The Unlounging is an easygoing story about overcoming fear and taking control of one’s life.